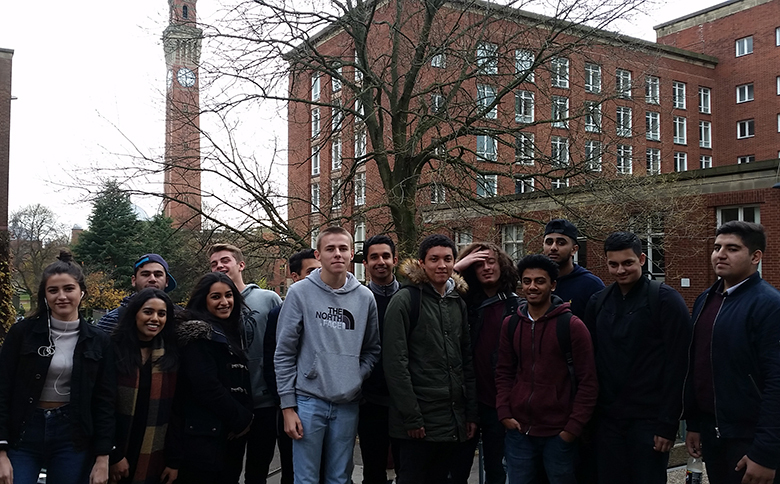 Economics and Business students from The Sixth Form College, Solihull explored issues around taxation last week with a lecture at the University of Birmingham. This visit was the second consecutive year a group of second year Economics and Business students had attended the lecture at the University of Birmingham. Entitled “Taxing our wealth – Do we have it right?” explored the economy, the tax system and the moral issues surrounding wealth. The imaginative and dynamic method in which the lecture was delivered allowed students to engage with the topic from the beginning to the end on what many viewed would be a dry and stale topic. Issues covered included; why the top 20% own over two thirds of wealth in the UK and that the primary factor why the wealthy are wealthy was not due to hard work and educational attainment, but the families in which these individuals were born into. The Economics Academy is one of many specialist enrichments the College offers. In addition to the Economics Academy, we have academies in our other social science subjects, with a Politics Academy and a Sociology Academy. All enjoy links with the University of Birmingham and involve visits to the university and other educational opportunities. The students in these academies are also encouraged to undertake an Extended Project Qualification (EPQ), which is a piece of private research of the students’ choice. Graded like an A level, a good EPQ can significantly boost a students’ chances of getting a top place at university.